Stocks continued higher last week, as the S&P 500 rose by 1.57 percent to 2,706.53. 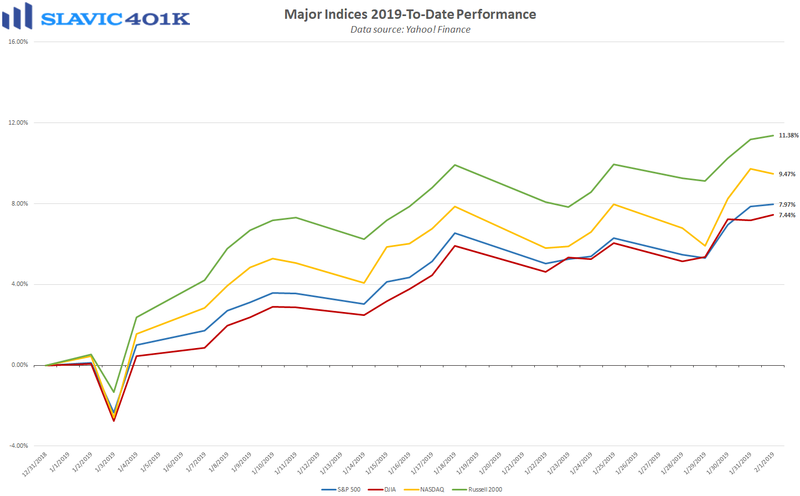 That left the benchmark index up 7.97 percent 2019-to-date, and just 7.65 percent below the all-time closing high hit last September. There were numerous headlines for markets to react to during the past few trading sessions but the key issue that investors were paying the most attention to was the latest announcement on monetary policy from the Federal Open Market Committee (FOMC). 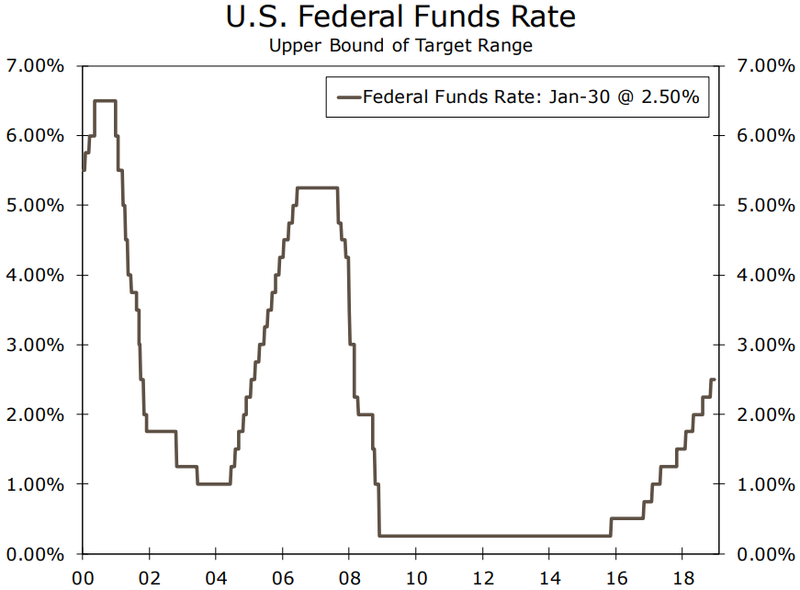 Indeed, officials on Wednesday kept the target range for the federal funds rate at 2.25-2.50 percent. 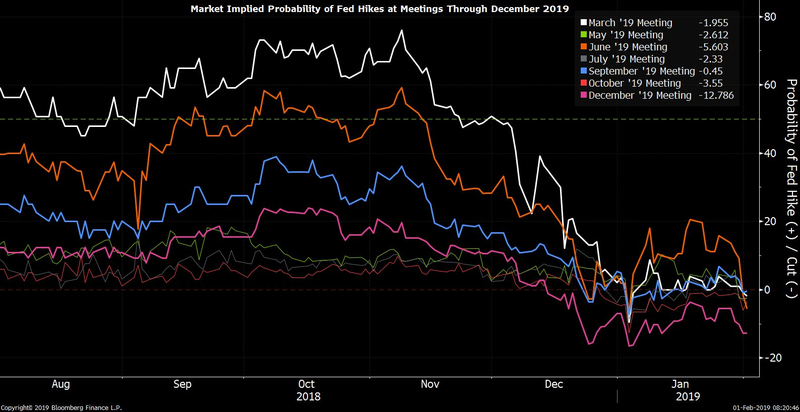 Although it was widely expected that monetary policymakers would hold steady on rates in January, the statement released by the committee was a lot more dovish than anticipated. 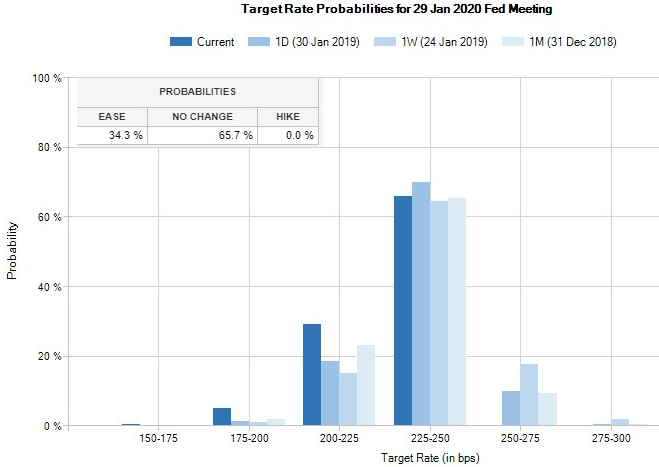 For example, officials stressed that they will be “patient” as they determine “what future adjustments to the target range for the federal funds rate may be appropriate,” wording that some traders interpret as signaling rate cuts are even a possibility. Officials also released a separate, unexpected statement that said the FOMC is “prepared to adjust any of the details for completing balance sheet normalization in light of economic and financial developments,” a sign that the committee might alter earlier plans to reduce bond holdings. This matters because a large Fed balance sheet, ceteris paribus, means that long-term interest rates will likely be lower than otherwise. Altogether the sharp reversal in the committee’s policy language over the past two months seems like a clear indication that officials have capitulated to recent stock market volatility. However, Fed chair Jerome Powell in a post-announcement press conference cited slowing growth in China and Europe, Brexit uncertainty, the ongoing trade war, and the still unknown economic effects of the partial government shutdown as excuses for the committee’s sudden change in tone. 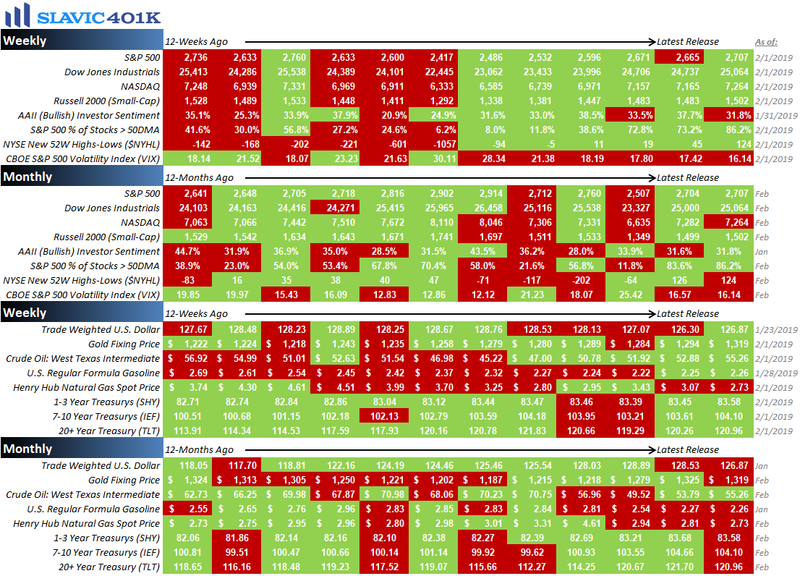 Some market participants will view the Fed’s new-found patience as a positive for stock valuations, while others will be more concerned that the dovish shift is a sign of just how much the economic landscape has already weakened since only a few months ago when the FOMC was still planning to continue raising interest rates in 2019. 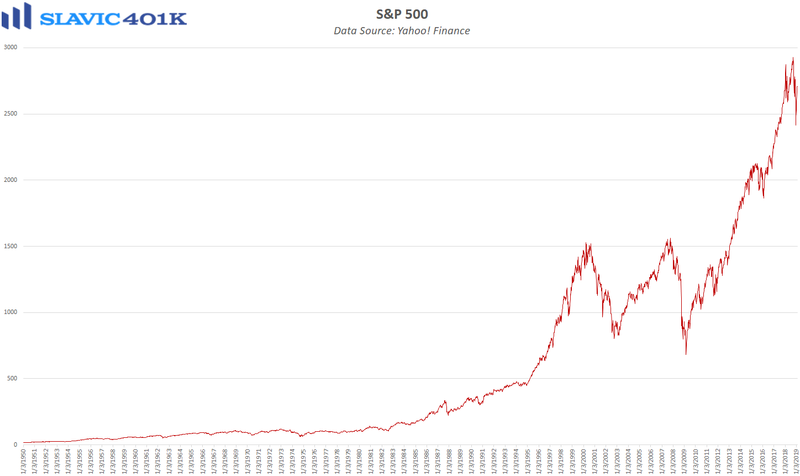 Since whether or not the Fed’s tightening cycle has ended is just one of the many unknowns (risks) for the markets still to overcome, it seems unlikely volatility will be going away anytime soon. Retail investors unsure how to navigate this environment should consider consulting with a professional financial advisor and as always, we are here to help with any questions you may have. To recap a few of the things we learned about the economy last week, the positives included that housing inflation moderated, new home sales surged, construction spending exceeded forecasts, small business job creation firmed, labor force participation improved, worker compensation increased, and total nonfarm payrolls in America rose for the 100th month in a row. 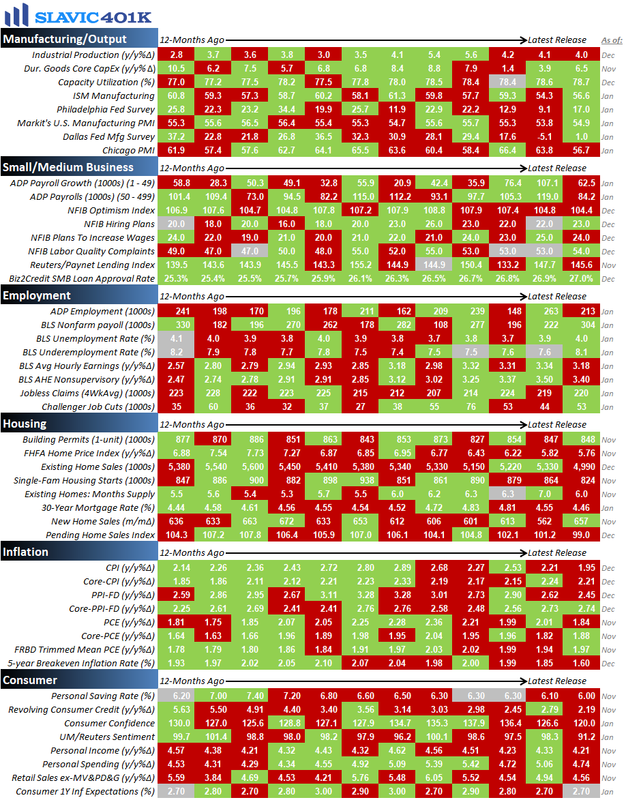 As for the negatives, mortgage rates ticked higher for the first time in 2019, home purchase applications fell, pending home sales declined, consumer confidence cooled, gauges of national and regional manufacturing activity continued to send mixed signals, corporate layoff announcements increased, measures of unemployment and underemployment lifted, and initial jobless claims jumped (although likely a temporary side-effect of the partial government shutdown). This week the pace of economic data slows down considerably but there are still a few important reports on productivity, the U.S. services sector, and credit utilization scheduled to be released. With the government now reopen, some of the previously delayed economic reports may also start to be released.